Patrick Jones, Author at Ghumakkar - Inspiring travel experiences. Move to the right where the front of the building is and you get the imposing view of the church. 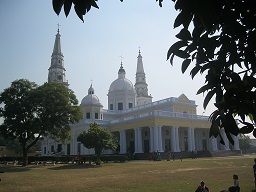 Magnificent Doric columns adorn the verandah; the Roman domes – large one in the middle over the main altar and the smaller ones over the wings – are similar to the domes of St. Peter’s Basilica, Rome. The massive steeples on both sides pierces the sky; the one on the left holds two bells whereas the other used to have a clock. The slate cutting factory with the old rusty machinery al around. Slates were used for roofing, fencing etc. and was big business then. The factory was eventually closed down in the 1969 and now serves as a National Slate Museum. Pangot is one such place. 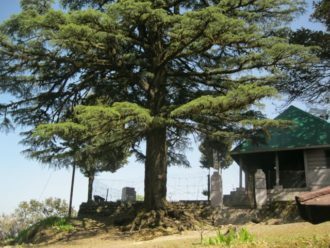 Just a short distance from Nainital – where Delhiites flock to during summer months – it boasts of no mall road or glitzy hotels but is a tiny hamlet within the folds of Kumaon hills with a few hotels now coming up. 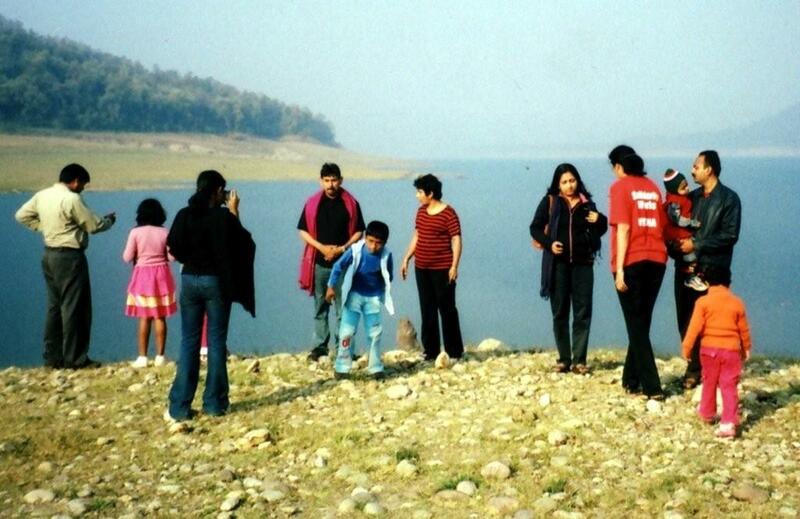 Drive up 15 km from Naini lake, go past snow-view point, you’ll reach this cosy little place without pretentions. It was getting darker by the minute. The road went up and up in loops quickly gaining height so we felt the vehicle ahead of us is almost above our heads. Narrow roads didn’t leave much room for manoeuvring on either side. The gorge to one side was so deep it sends a shiver down the spine of anyone who is not attuned to such heights especially if there’s an oncoming vehicle. There weren’t any, thankfully; no human beings in sight either. The bus-ride through southern England showcased the beautiful countryside; it pleases your eyes and soothes your soul with its soft contours of green hills and meadows. No rough edges or jagged ends to jab your field of vision. Occasionally you’ll find a cluster of trees as if to relieve the monotony. Looking out of the window one fails to notice that you didn’t blink for a long time. 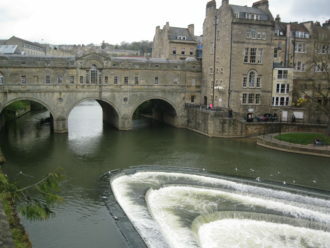 Bath is an eye soothing place to be in. We stayed with a friend there in real rural settings enjoying farm-fresh fruits and vegetables. 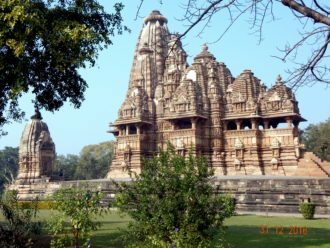 Khajuraho is 80 km away from Charkhari and we made the trip the following day. Stunned by the beauty unfolding before us we wandered around the temples craning our neck unable to absorb all that is in the spread – amazing architecture, heights of craftsmanship. The top of the mountain was a visual treat to the beauty-starved eyes. Rather plain compared to the slope that we came up, it was covered with neatly trimmed tea and coffee plantation for miles. 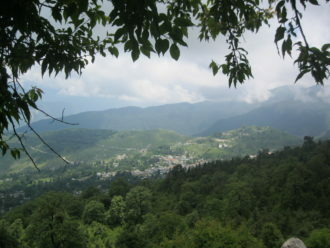 Kausani: The absence of crowds was a welcome change in this place as well. No mall road to boast about but the available accommodation was good enough. The ‘wow’ factor is the spectacular view of the mighty Himalayas – 300 kilometers of unhindered and unmatched majestic view. Peaks Nandadevi, Nandaghunti, Trishul etc. glistening in the morning sunshine, gives lovely viewing pleasure. On a clear morning as you open your bedside window, the sight of these snow-capped mountains which sometimes seem to be bending towards you, simply take your breath away. 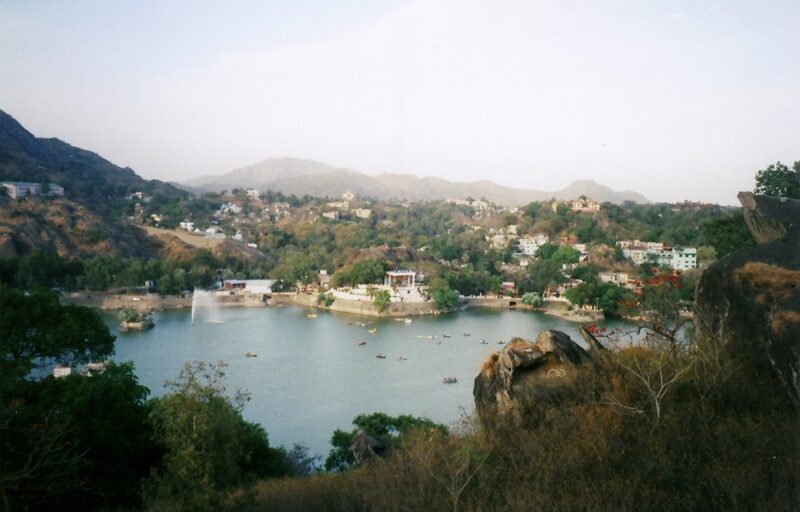 Gandhiji spent a few days here in the Anashakti ashram – which is right in the middle of the town and displays some photographs from his life – and called this place ‘the Switzerland of India’. Hindi poet Sumitra Nandan Pant was born in this place. 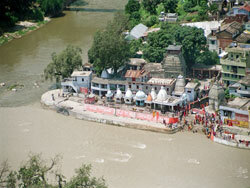 Baijnath, 19 km downhill from Kausani, boasts of a 1000 year old temple complex situated on the banks of river Gomti. Children enjoyed feeding the fish here. At last we reached Dhikala. It was a cluster of small buildings at the edge of the trees and beginning of a vast grassland which reminded me of some African hamlet deep inside the jungle. 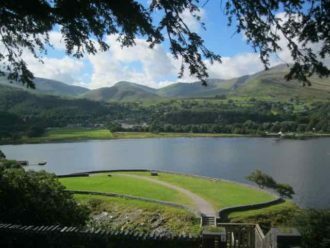 The buildings are very much in tune with its surroundings and have appeared to be from the late 19th century. However, it is protected by electric fence. 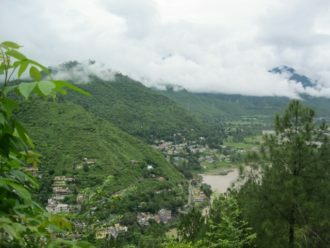 The complex is situated high above the banks of Ramganga but one is not allowed to venture out into the river for fear of crocodiles and other animals. 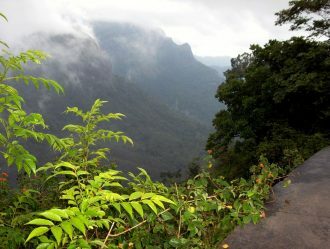 The view from the complex was simply awesome; to one side is the forest, the expanse of grassland on the other and on the third side stood blue mountains in a coat of mist far beyond the river bank. The breeze that flows brings in the fresh smell of the forest. Sitting under a huge tree, soaking in nature’s beauty all around, one simply is transported to another world, far from the madding crowd and toxic fumes – a world without worries. Everything except rotis in the Gujarati thali was sweetened. So diabetes is a Gujju’s worst nightmare, I presume. Driving out of Delhi, this is the first place where I got to see an abundance of non-Delhi license plates other than the local ones. 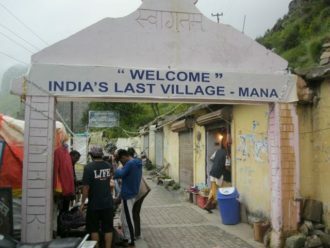 Seems to be Gujarati’s favourite destination.